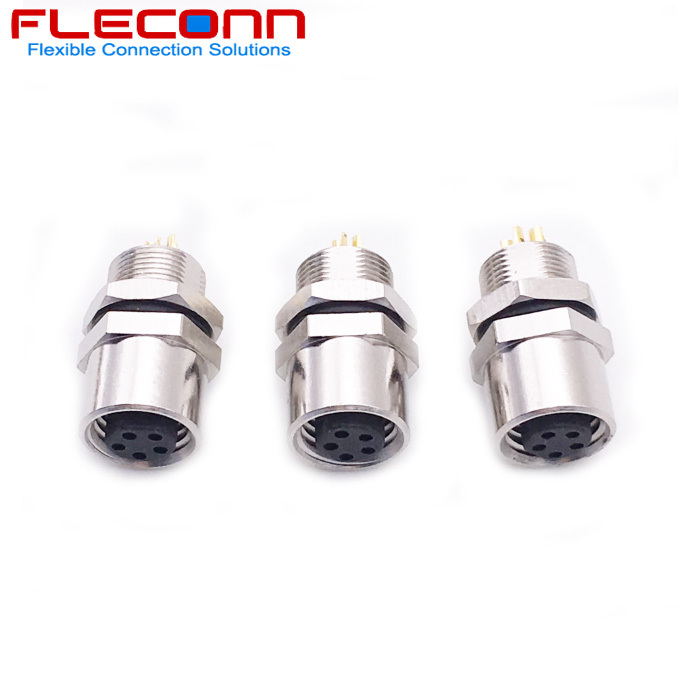 M8 Panel mount connector are divided into two types accord to installation method such as rear panel mount and front panel mount. There are PCB DIP solder pin and solder cup pin available. 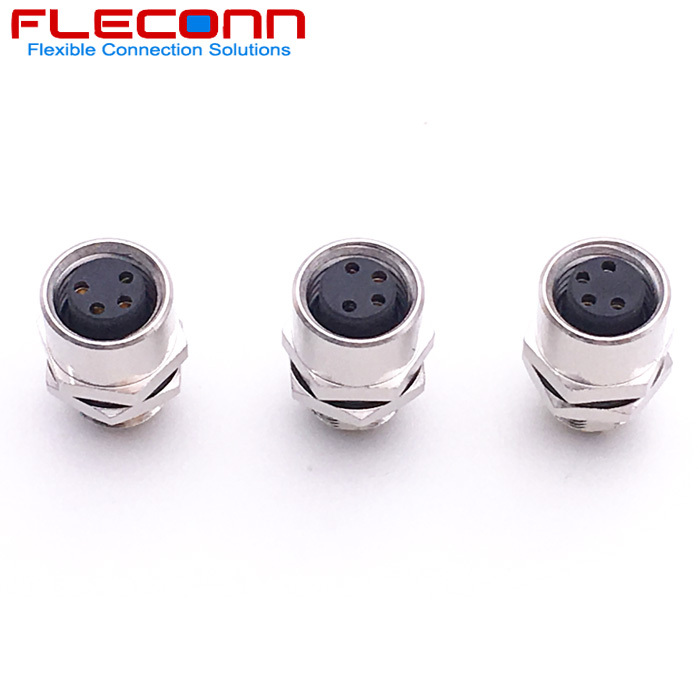 M8 PCB Panel Mount Connectors have two types of A Coding and B coding connectors. 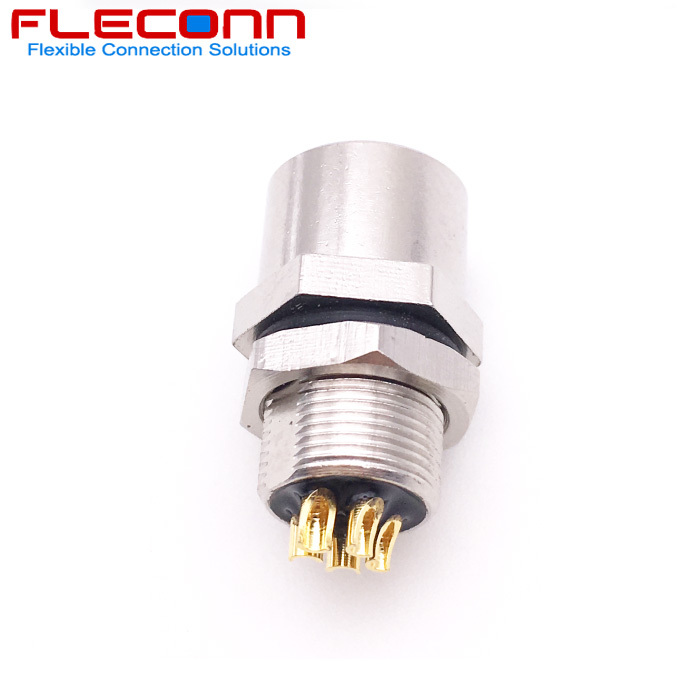 The connection methods of power and signal have PCB contacts with through hole Pins , solder contacts with soldering cups and dip soldering with single wires. 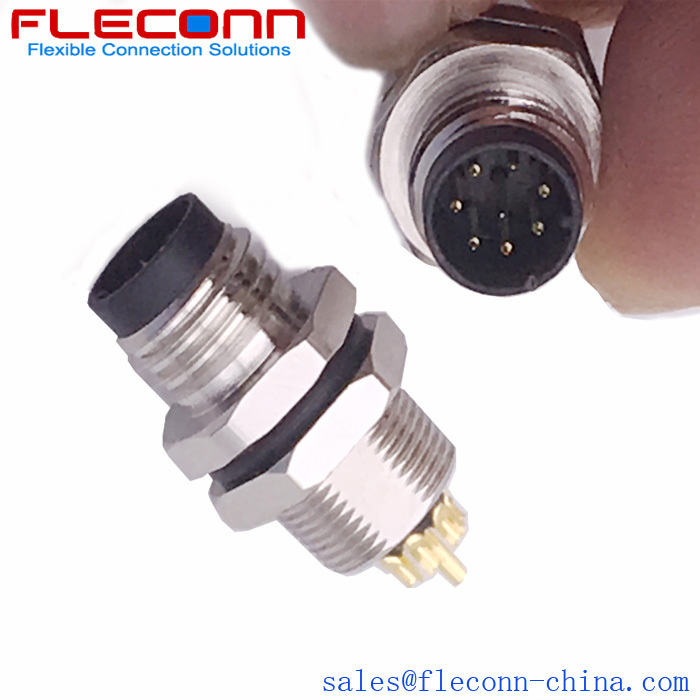 The installation methods have front panel mount and rear panel mount between M8 PCB connectors and Board. 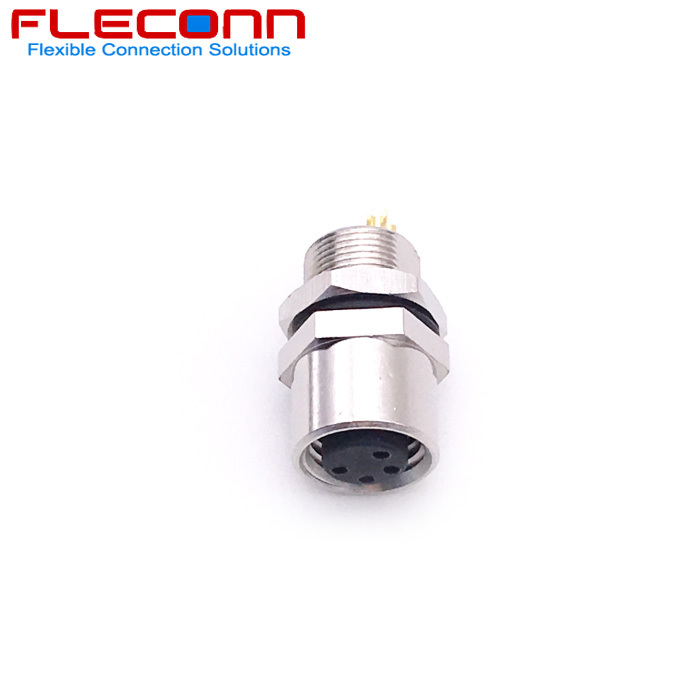 There is a type of M8 connector with flange and it can be fastened by holes in flange and screw. Contact Body Type: Female. Coding Type: A-Code. 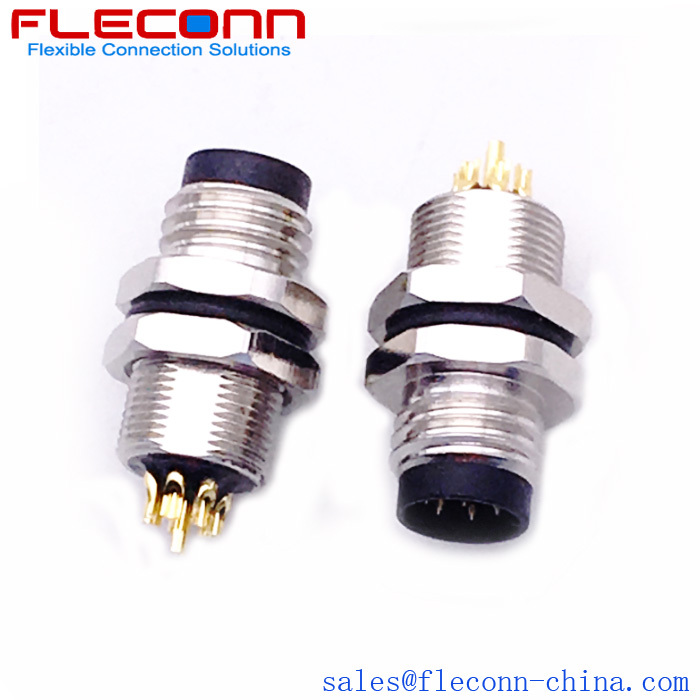 Plug Type: 180 degree straight fixed plug. Wiring Method: Soldering. Contacts number: 8 positions. 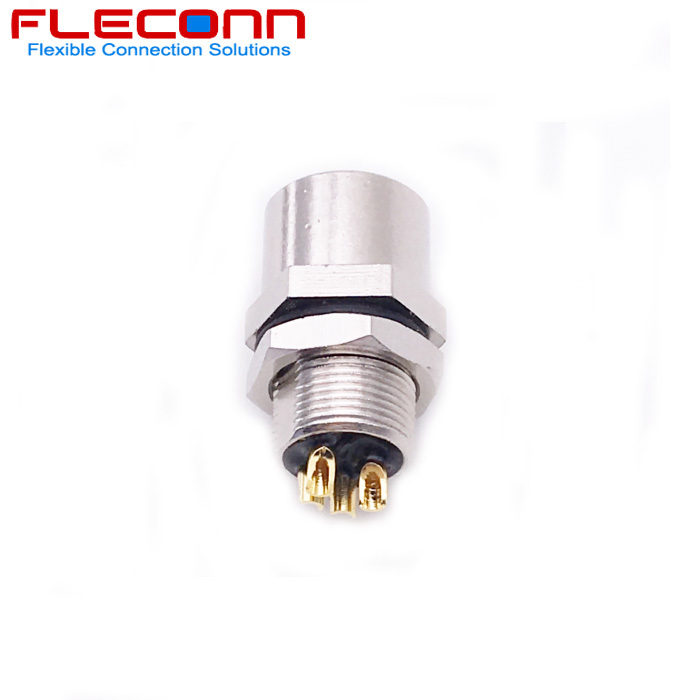 Installation Method: Front Mounting, Rear Fastening. Contact Body Type: Female. Coding Type: A-Code. Plug Type: 180 degree straight. Wiring Method: Soldering. Contacts number: 8 pole. 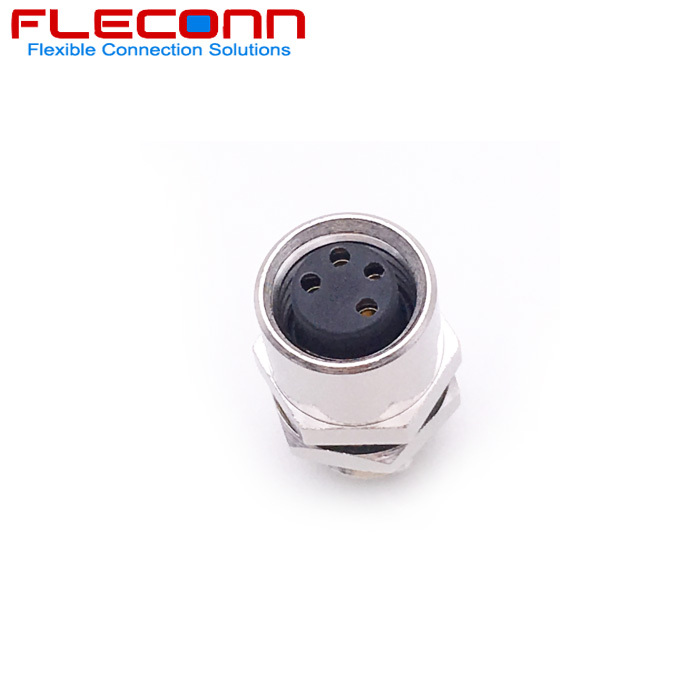 Installation Method: Front Mounting, Rear Fastening. Contact Body Type: Male. Coding Type: A-Coding. 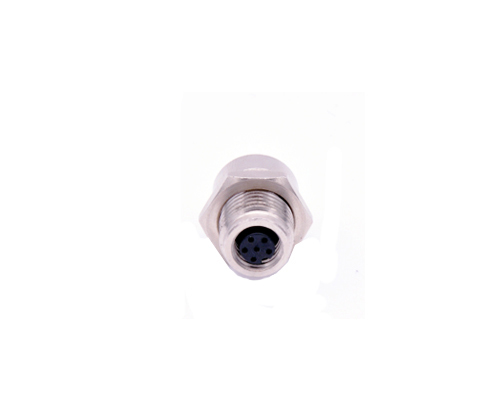 Plug Type: 180 degree straight type. Wiring Method: Soldering. Contacts number: 8 pole. 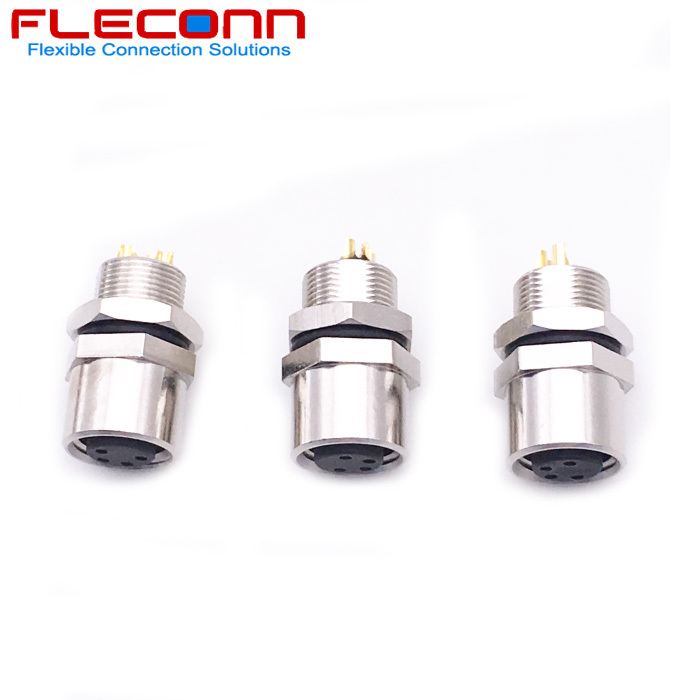 Installation Method: Front Mounting, Rear Fastening. Contact Body Type: Male. Coding Type: A-Coded. 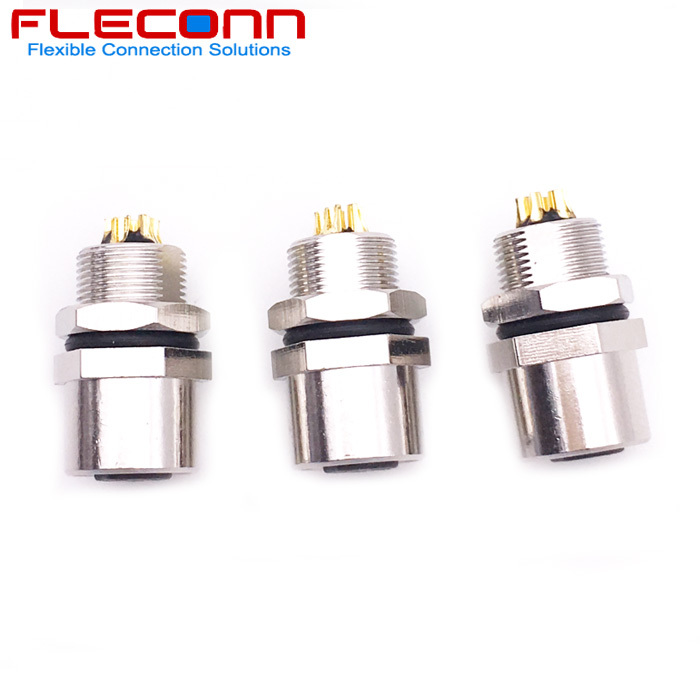 Plug Type: 180 degree straight type. Wiring Method: Soldering. Contacts number: 8 pin. Installation Method: Front Panel Mount, Rear Fasten. Contact Body Type: Female. Coding Type: A Code. Plug Type: 180 degree straight type. Wiring Method: Soldering. Contacts number: 4 pin. Installation Method: Front Panel Mount, Rear Faston. Contact Body Type: Female. Coding Type: A Code. 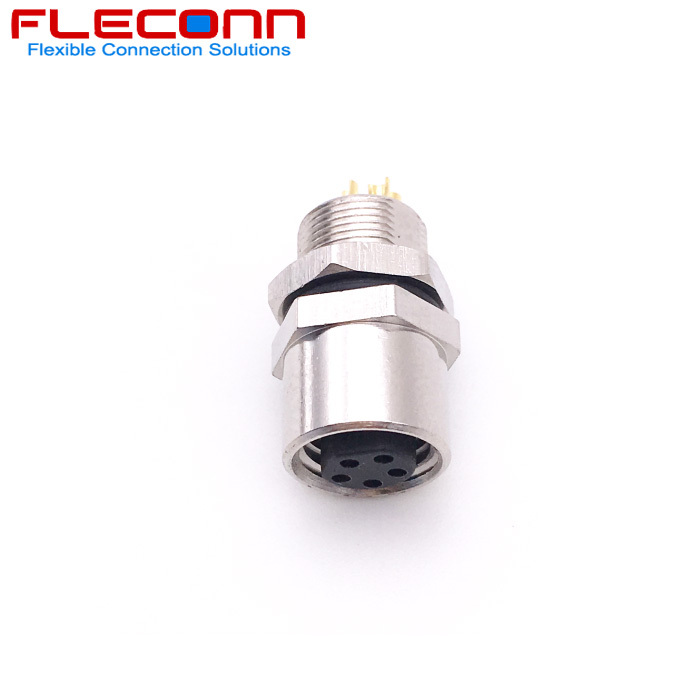 Plug Type: 180 degree straight type. Wiring Method: Soldering. Contacts number: 4 pole. Installation Method: Front Panel Mount, Rear Faston. Contact Body Type: Female. Coding Type: A Code. 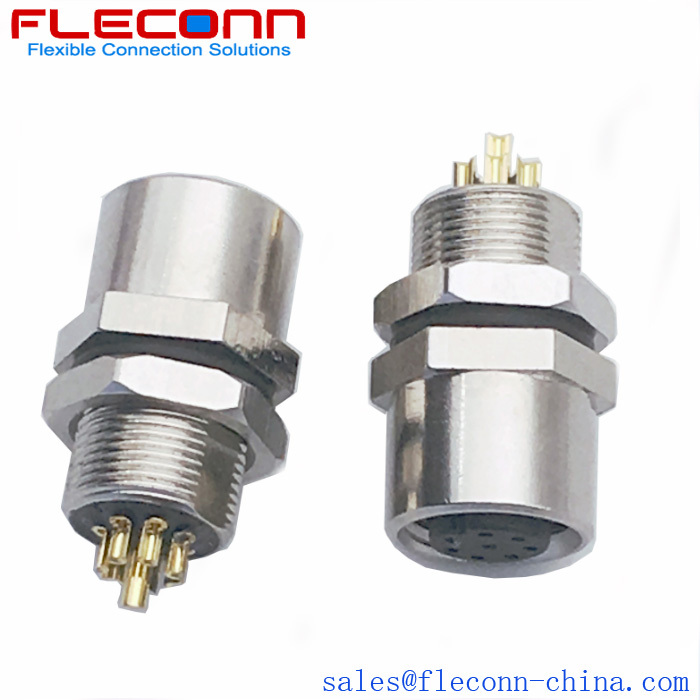 Plug Type: 180 degree straight type. Wiring Method: Soldering. Contacts number: 4pin. Installation Method: Front Panel Mount, Rear Faston. Contact Body Type: Female. Coding Type: A Code. Plug Type: 180 degree straight type. Wiring Method: Soldering. Contacts number: 4 contacts. Installation Method: Front Panel Mount, Rear Fasten. Contact Body Type: Female. Coding Type: A Code. 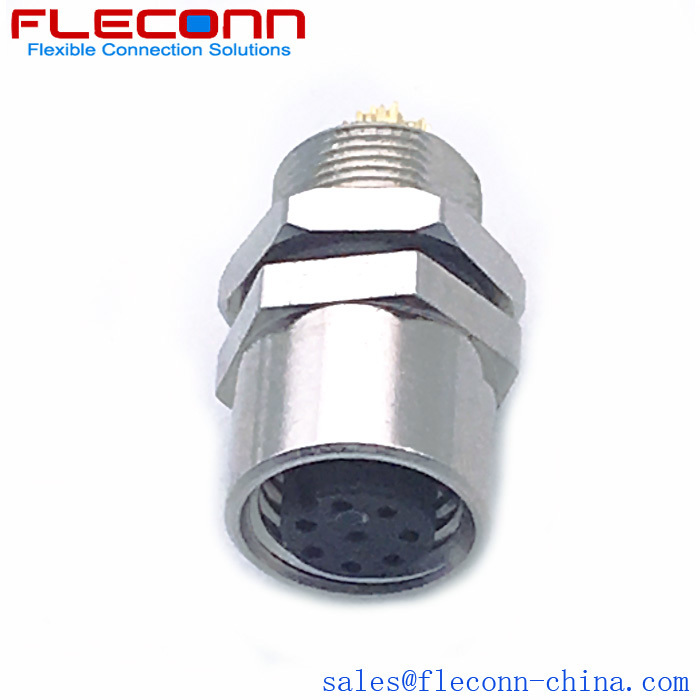 Plug Type: 180 degree straight type. Wiring Method: Soldering. Contacts number: 4 position. Installation Method: Front Panel Mount, Rear Faston. Contact Body Type: Female. Coding Type: A Coding. Plug Type: 180 degree straight type. Wiring Method: Soldering. Contacts number: 5 Pin. Installation Method: Front Panel Mount, Rear Faston. Contact Body Type: Female. Coding Type: A Coding. Plug Type: 180 degree straight type. Wiring Method: Soldering. Contacts number: 5 pole. Installation Method: Front Panel Mount, Rear Faston. Contact Body Type: Female. Coding Type: A Coding. Plug Type: 180 degree straight type. Wiring Method: Soldering. Contacts number: 5pin. Installation Method: Front Panel Mount, Rear Faston. Contact Body Type: Female. Coding Type: A Code. 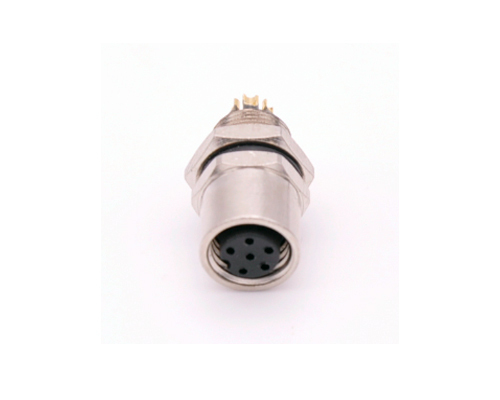 Plug Type: 180 degree straight type. Wiring Method: Soldering. Contacts number: 5 Position / Pos. Installation Method: Front Panel Mount, Rear Faston. Contact Body Type: Female. Coding Type: A Coding. 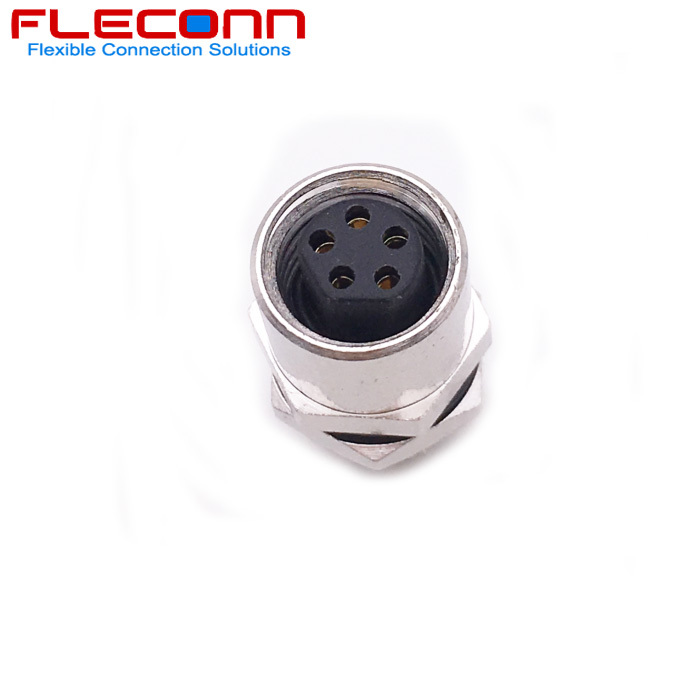 Plug Type: 180 degree straight type. Wiring Method: Soldering. Contacts number: 5 contacts. Installation Method: Front Panel Mount, Rear Faston. Connection Body Type: Female. Coding Type: A Coded. Contacts: 2 3 4 5 6 8 position Available. Installation Method: Front Panel Mount. Contact Body Type: Female. Coding Type: A Coding. Plug Type: 180 degree straight type. Wiring Method: Soldering. Contacts: 2 3 4 5 6 8 pole. Installation Method: Rear Panel Mount.